Building a foundation for academic success. Darlington is the only school in Northwest Georgia to offer a program specifically designed to support students with dyslexia. Focusing on grades 2-5, the Accelerated Learning Program for Dyslexia provides necessary remediation with experienced learning specialists, while enabling students with dyslexia enrolled in the program to receive the full Darlington experience. Intensive remediation happens during Spanish and English classes. We use the Orton-Gillingham Method of reading instruction, which teaches phonetic awareness, decoding and encoding. Remediation is conducted by four highly experienced reading specialists. To ensure success in all courses, all pre-K to 5 teachers, assistants and administrators are Orton-Gillingham trained. Students are evaluated at the end of each year with the goal being to move them out of the program after two years of intensive remediation. Even after they are moved out of the program, students will continue to be supported by Darlington’s Teaching and Learning Center throughout their Darlington career as needed, free of charge. Student must apply and be accepted to Darlington. Participants must be diagnosed with Dyslexia. Reading and math screenings will be conducted once a student has applied. Tonya Greene, learning specialist for grades 3-5, is the lead Orton Gillingham teacher for Darlington's Accelerated Learning Program for Dyslexia. With nearly 20 years of experience in education, she has spent the majority of her career working with students who have learning differences and is skilled at writing curriculum to serve the needs of students with different learning profiles. 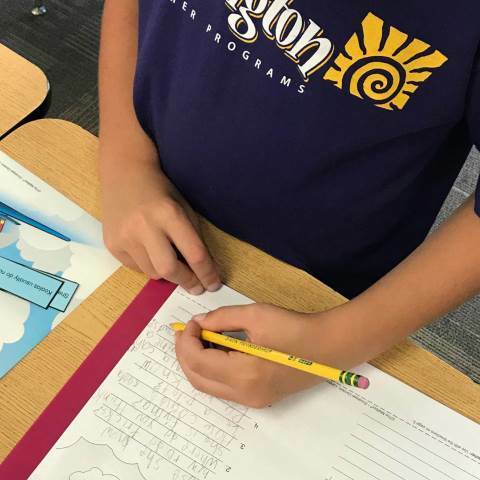 Founded in 2006, Darlington School’s Glenn Teaching and Learning Center provides individualized academic support to students Pre-K to 12 with identified learning differences. The best way to learn more about the Accelerated Learning Program for Dyslexia is to set up a campus visit.